You've probably heard many times before that if you want to have predictable cash flow you have to have great revenue cycle management. You've got to enter patient demographic information correctly. You've got to check and verify patient eligibility. You also have to review and enter charges, confirm successful transmissions, post payments and ensure the accounts receivable are worked in a timely fashion, oh and do this all while you are servicing patient calls and a thousand other things. 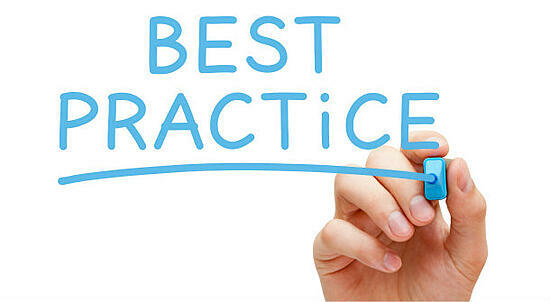 Actually putting all of those best practices into, well ... practice ... can feel daunting. What exactly is an acceptable collection ratio? What should your aged accounts receivable look like? How often should you be billing patients? As an Orlando, Florida billing company we are always trying to find ways to protect and improve our client’s cash flow. Recently, we analyzed our top performing physician accounts across the nation to come up with Physician Billing Best Practices. The result: some rules of thumb to follow that can address the questions above and give you insights into how you should optimize your process. If your software has a month-end close process, you should be doing it! Month-end closing/reporting process needs to happen on a monthly basis. Patient billing should be done on a weekly basis. Insurance billing should be done on a daily basis. Use web based backups for your data if it is hosted in house. Ensure you are using every payer remittance module available to you. Complete eligibility verification at least 24 hours before the patient is scheduled to be seen. Monitor you collection ratio and compare it to the prior two years. Look for unanticipated variances. Your AR over 90 days should be less than 10% of total AR. Remember a medical billing company is more than the rate they charge. Screen them carefully and you'll have partner in the success of your practice. Are you interested in improving your medical billing process? Here are some additional tips!